While there are many players that specifically engage in first-person shooting for multiplayer purposes, there are those that remain skeptical of shooters that have multiplayer options, for fear that the single-player portion will be limited. 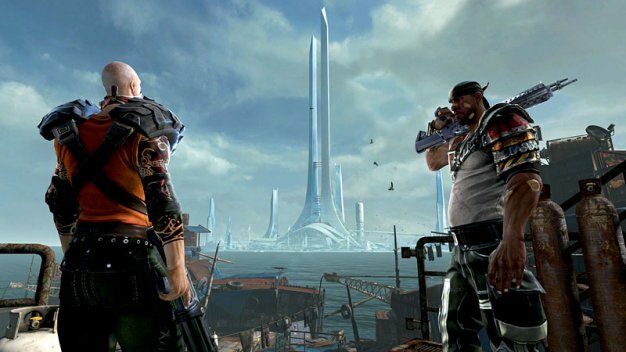 Brink developers at Splash Damage wish to change this perception, noting that their title will reward players who are hesitant to engage in multiplayer battles by encouraging players at certain points in the adventure to engage in cooperative play; in addition, the game will also give benefits such as double experience points if you pool your efforts with another player. However, the developers also noted that Brink has plenty for those that lack an internet connection as well. To hear them tell it, this title will certainly have a lot to offer. Whether that is a good thing will be determined at the game’s release next year.